Blunnies for kids! Fun and freedom from laces for kids and parents, too. Gives little ones real independence. 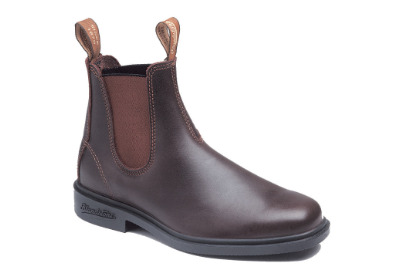 Comes with an extra pair of footbeds, just remove as little feet grow for months of extra wear. Polyurethane sole. Oil, acid and organic fat resistant. Defined heel. Brown chestnut leather. 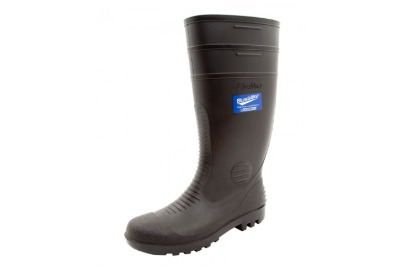 The Blundstone 001 is a black waterproof general purpose gumboot. 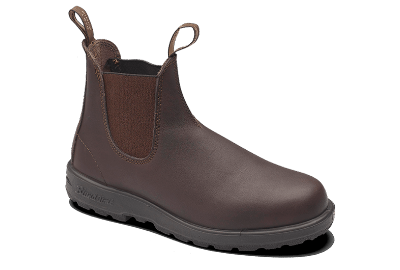 Blundstone boots come with a 2 year manufacturers warranty. 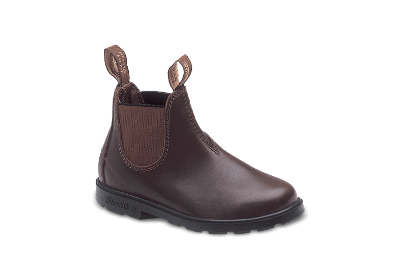 Steel shank-ensures correct step flex point, assists with torsional stability.